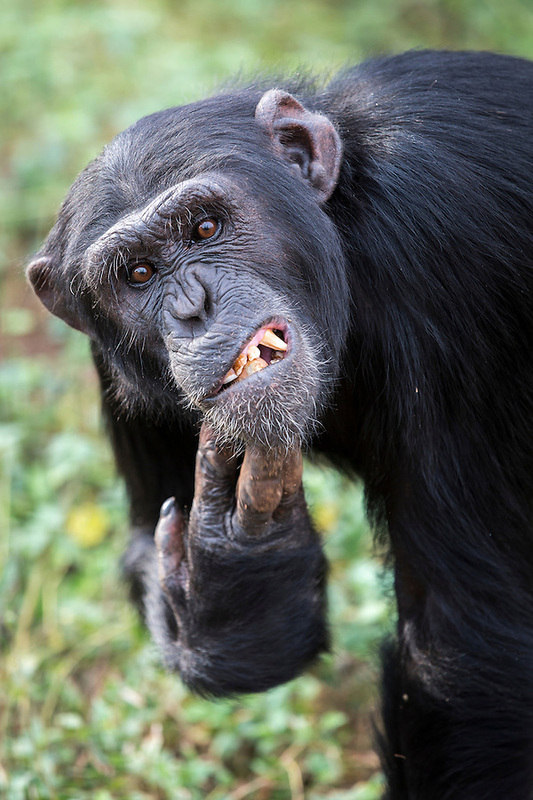 Male chimp, Rambo, is photographed at the Ngamba Island Chimpanzee Sanctuary in Lake Victoria, Uganda. Rambo was confiscated in an abnormal state, with a rash that would often result in accumulation of dead skin on the hands. Rambo is social and had no problem associating with his surrogate mother and any other visitor during his initial time in the quarantine at UWEC.